Spain is a country in south-western Europe located on the Iberian Peninsula, bordering the Mediterranean Sea. It is a popular travel destination due to its expansive mountain ranges and beautiful beaches. Ebookers can help individuals locate the best of Spainâ€™s hotels when planning a holiday to the area. Madrid is the capital and largest city in Spain. It is also the most popular tourist destination. Madrid is located near the centre of the country along the Manzanares River. The city is well-known for the Golden Triangle of Art, which includes three popular museums: the Prado Museum, the Thyssen Bornemisza and the Museo del Prado, all containing a wide variety of private and public collections including original works by Picasso. Madrid is home to Real Madrid, the La Liga football club that plays its home games at the Santiago Brenabeu stadium. Spain has one of the most prestigious football associations in the world. 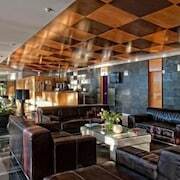 Travellers staying in Madrid have a variety of hotels to choose from including the Hotel Alantico. The hotel is one of the oldest hotels in Madrid located on Gran Via. Rooms start from Â£80 a night, and the hotel can be reached on 915 22 64 80. It offers free high-speed Internet, interactive televisions, a business centre, and free transport services to and from the airport. Barcelona is the second largest city in Spain and the capital of Catalonia. It is located on the north-eastern border on the Mediterranean Sea. It is one of the leading tourist destinations in the area, and it has a big international influence on culture, commerce, education and fashion. Travellers have a wide variety of attractions to see including the Palace of Catalan Music, the Gothic Quarter and Guell Park. Hotel Jazz is a chic hotel in the centre of the city. Rooms start from $132 a night and include free wireless Internet, a fully equipped business centre, and in-room safe and on-site parking. 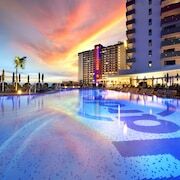 Contact the hotel on 93 552 96 96 for more information on rooms and amenities. Valencia is one of the busiest container ports in Spain and is located on the Mediterranean Sea. The city has numerous convention centres, which makes it a popular spot for business travellers. It is a city rich with history, which holds a variety of festivals each year including the Falles. Valencia is the home of the Formula One European Grand Prix, which is held in June. 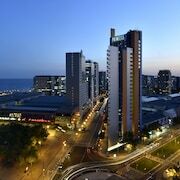 There are over a hundred hotels in Valencia for travellers to choose from. 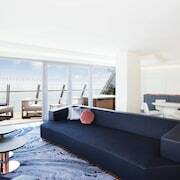 The Vincci Lys offers rooms starting from $95 a night. 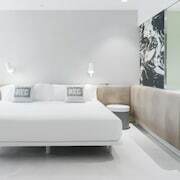 The hotel is a two-minute walk from downtown, and it offers free television, pay TV channels, minibars, free wireless Internet, and valet stands in some rooms. Travellers can check room availability by calling 902 454 585. Spain is an expansive country with many large cities and a wide variety of cultural activities and historic places to see. 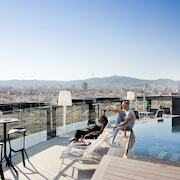 Use ebookers to locate rooms in Spain hotels and luxury accommodation throughout the region. It can also assist in locating the best deals in flights and holiday packages.